Get the facts on Premier and why you might want to try it out. 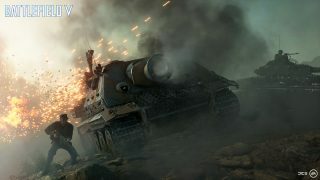 Did you know you could be playing Battlefield™ V on PC as early as November 9? It’s true, joining Origin Access Premier can get you on the front lines first with all the Deluxe Edition extras. This article will lay out all the details on Origin Access Premier, what it offers, how to get it, and why it might be a great option for you when it comes to playing Battlefield V.
So What Is Premier Anyway? Origin Access has always offered players an easy and inexpensive way to play a variety of EA and independent games on PC. But Origin Access Premier takes gaming goodness to a whole new level. Like the original service (now called the Basic level), subscribers get a 10% discount on their digital purchases on Origin.com and the chance to try new EA titles before they release. What sets the Premier level of the service apart, however, is that subscribers get to play new EA games first – no limits, no barriers – the full games. And those games are theirs to play for as long as they’re a subscriber. 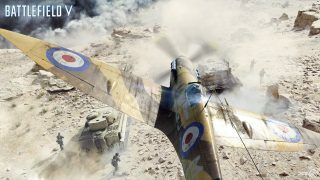 Why Should You Play Battlefield V with Premier? You mean aside from deploying eleven days before everyone else and getting all the Deluxe Edition extras? One upside of going with Premier is the flexibility: you can get a great deal with the annual subscription or just try it out for a month**. Either way, you get full access to Battlefield V starting November 9. And if your subscription ends we’ll save your progress – you can rejoin at any time, and your game is right there waiting for you; just pick up where you left off. Another big plus is affordability. One year of Origin Access Premier costs less than buying two games. So, if you were planning to pick up Battlefield V and Anthem, they’d automatically be yours – days early – with Premier. No purchase necessary, you download and play. And if you ever wanted to hit the pitch in FIFA or toss around the old pigskin in Madden, it’s an even better deal. And starting November 9 Origin Access subscribers will be able to invite their friends to join them on the battlefield for 10 full hours of combat. The Origin Access Friend Referral program** is a great way to let up to 4 of your buddies experience all the benefits of a Basic subscription, including the Battlefield V Play First Trial, and they won’t have to spend a penny. What Other Games Are Included? Plus subscribers have access to an ever-evolving collection of over 100 more games. And Premier subscribers will be the first to explore a dangerous new world when Anthem™ releases early next year. How Do You Get Origin Access Premier? Just visit Origin.com, decide whether you prefer a monthly or annual plan, and join. That’s all there is to it. Imagine never having to worry about pre-orders again, skipping right past the launch waiting line, and having Battlefield V and each new EA game waiting for you in your library, packed with extras – then stop imagining and go check out Origin Access Premier today. **CONDITIONS, LIMITATIONS AND EXCLUSIONS APPLY. SEE ea.com/ea-access/terms AND origin.com/store/origin-access/terms FOR DETAILS. One free trial per EA account. After the trial, the current Origin Access monthly or annual membership fee will be billed. Cancel during the trial period without charge. Offer not available in Brazil, Belgium, and Spain.